Renegade military officers led the attempted coup against Turkish President Recep Tayyip Erdogan, but hes accused followers of a U.S.-based cleric and onetime ally of instigating the rebellion. 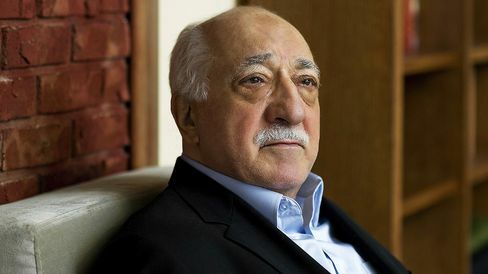 Fethullah Gulen, whos in his 70s, is revered by supporters as a moderate advocate of interfaith dialogue, and his group condemned the takeover bid. To Erdogan and Turkeys ruling party, hes hellbent on undermining the Turkish government from his compound in Pennsylvania where hes living in self-imposed exile. As major political parties and some senior army officials distance themselves from the short-lived uprising that killed 200 people, authorities are purging the army and judiciary of alleged Gulen sympathizers. Gulen won a following while employed as an imam, or preacher, by the Turkish state. He persuaded businessmen to set up dormitories for needy students, according to a 2008 biography by journalist Faruk Mercan. Those later turned into schools that form a key part of his organization, called Hizmet or the service, helping to train teachers and volunteers for colleges run by the group around the world, according to the book. Gulen left Turkey in 1999 after tapes that showed him telling followers to infiltrate government institutions were broadcast on television. A year later, he was charged with forming a terrorist group to undermine the secular state. He was acquitted by the top appeals court in 2008. Gulen hasnt set foot in his homeland this millennium and is thought to be in poor health, suffering from diabetes. Erdogan has been pressing heads of state to shut down Gulen schools overseas. Werent Gulen and Erdogan once friends? Gulen was once an ally in Erdogans efforts to give Islam a greater role in Turkish public life and curb the power of the secular army. His followers were heavily represented in the police and justice systems. But tensions developed over the years and they became sworn enemies in 2013, when the government charged him of orchestrating a corruption probe targeting Erdogans family, cabinet ministers and leading businessmen. The graft allegations were eventually thrown out when the government dismissed police and prosecutors working on the case. Their bitter feud has only escalated since then. The Turkish government in April seized control of the countrys best-selling newspaper Zaman, which had links to Gulen and had become a fierce opponent of Erdogans rule, especially as he moved to concentrate power in an executive presidency. In 2015, a court in Istanbul ordered a management takeover at companies owned by Kaynak Holding on suspicion it aided the clerics followers. Has Gulen reacted to the coup bid? Gulens Alliance for Shared Values group was swift to join those rejecting the coup attempt. We condemn any military intervention in domestic politics of Turkey, it said in a statement on its website. That hasnt placated Turkish authorities. While the government has so far furnished no evidence to back its claim Gulen had a hand in the plot, a senior Turkish official, requesting anonymity to discuss the investigation, said authorities had strong evidence linking the failed coups leaders to the Gulen movement. Erodgan said that the clerics followers will pay a heavy price for their treason. Prime Minister Binali Yildirim branded Gulen a gang leader during a press conference in Ankara, while deputy premier Nurettin Canikli said the government would ramp up its purge of Gulenists within government positions. Even if they went into the tiniest veins of the state, they will be purged, he told the pro-government A Haber TV.